It always has to be determined whether friendly or unfriendly objects, like cars, trucks, boats or persons are approaching a certain place and it, at any time, it has to be under complete control and supervision of the related security forces. Therefore a long range optical device is required, with which the terrain in question can be supervised. Fixed on top of high buildings, at sight-seeing spots or at borders (land- or seaside) the PKI 5305 always is the right choice to view the scenario for any police force, border control squad or military task force. 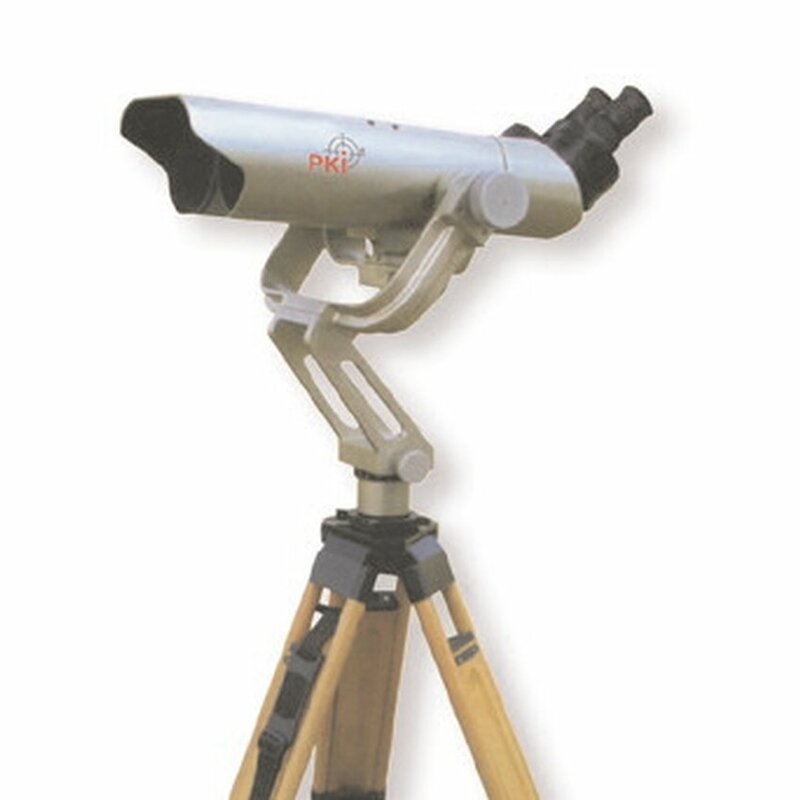 It is an absolutely necessary and important tool for observations over large distances. With an optionally available electronic eyepiece, like one of our video cameras shown in this catalogue, it can be connected with a monitor or computer, so that analysis, measurement and statistics can be effected at save places and with the capabilities to store the pictures. With its large magnification of 25 times and the 100 mm objective diameter the PKI 5305 enables every supervising department to effectively fulfil their tasks even under low light conditions.